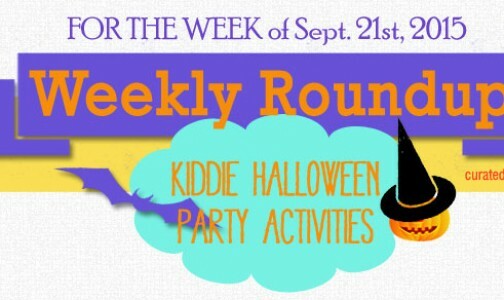 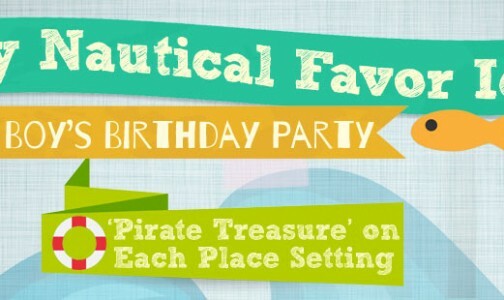 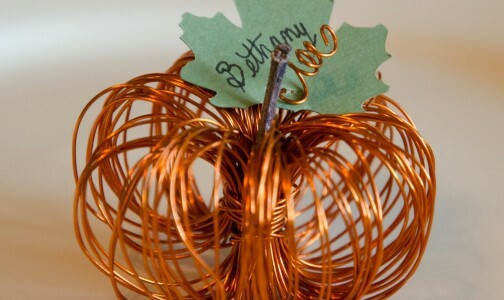 Planning an autumn birthday celebration? 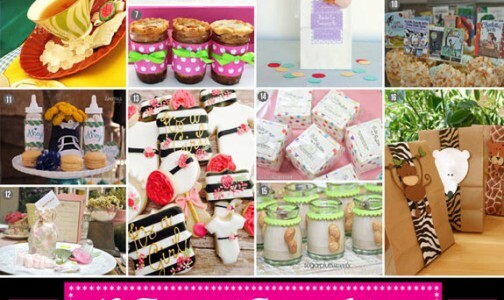 A baby shower? 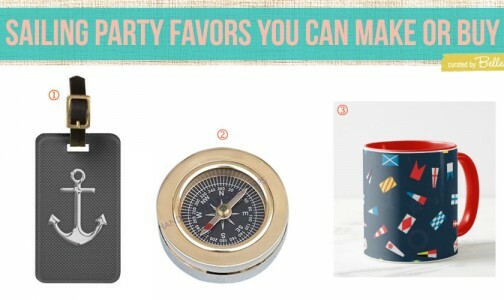 A housewarming? 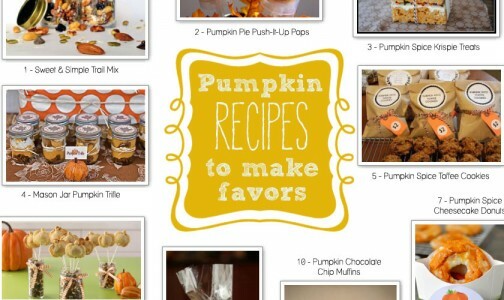 A Thanksgiving (or Friendsgiving) gathering? 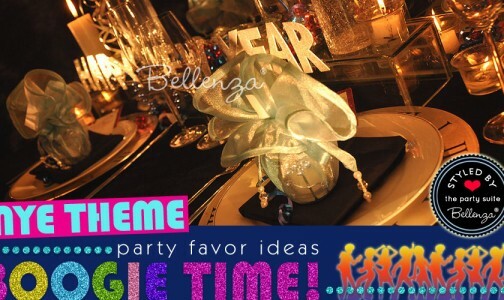 Then, you’re surely thinking of what party favors to give. 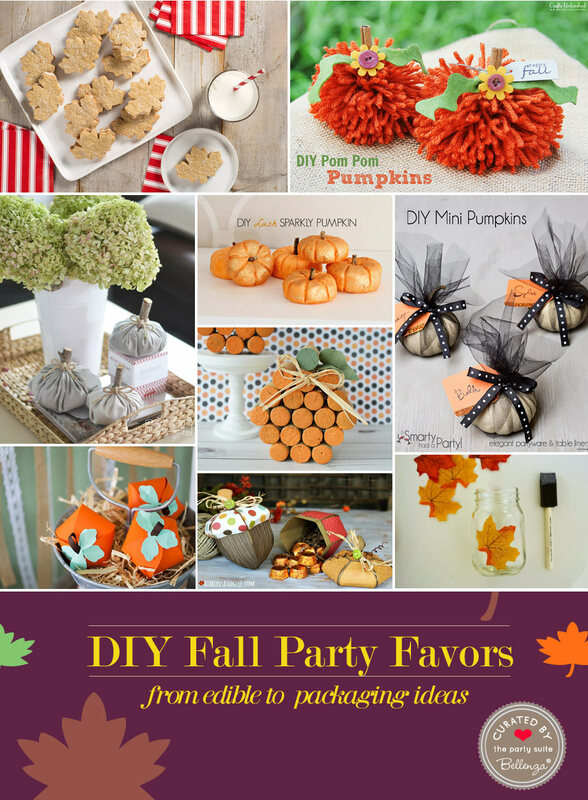 The way we see it, parties in the fall just seem to call for handcrafted and homemade items to give as favors. 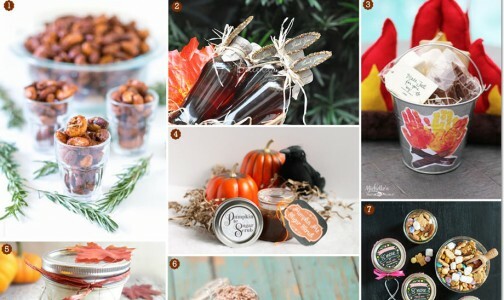 And with all the seasonal fruits, iconic pumpkins, signature autumn spices and scents, and natural materials to package and decorate with, you’re sure to come up with something adorable, practical, or delectable to delight your guests with! 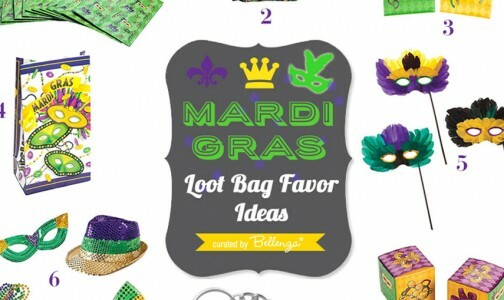 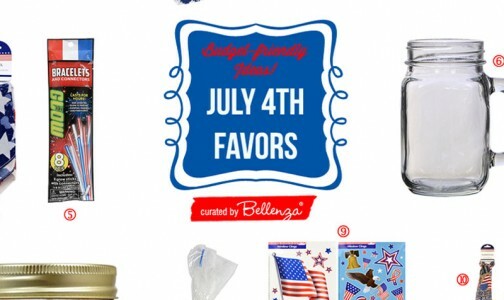 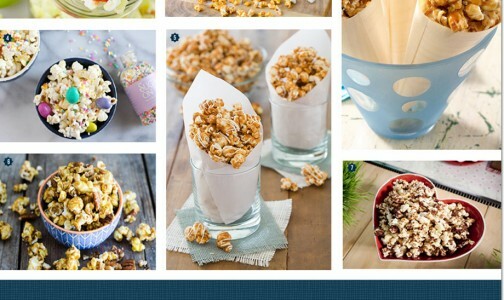 Plus, the web is just brimming with creative favor filling and packaging ideas that you can DIY—like these we’re featuring here. 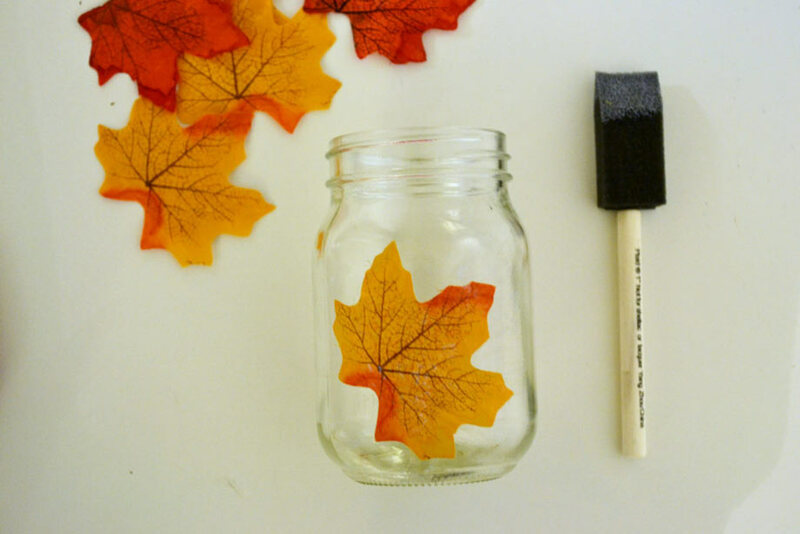 Such a cute fall craft favor idea here from Crafts Unleashed! 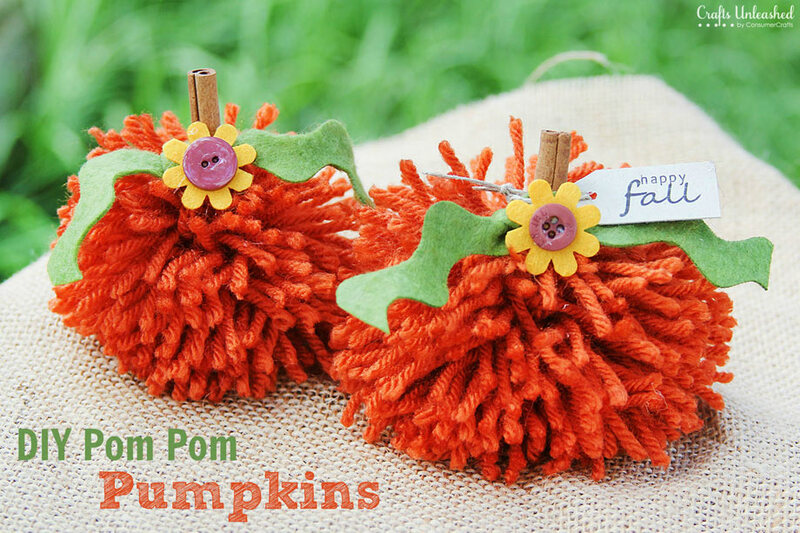 Bright orange yarn pom poms get transformed into fluffy mini pumpkins with cinnamon sticks for stems, felt rick rack for leaves, and felt flowers with button centers for a pretty finish. 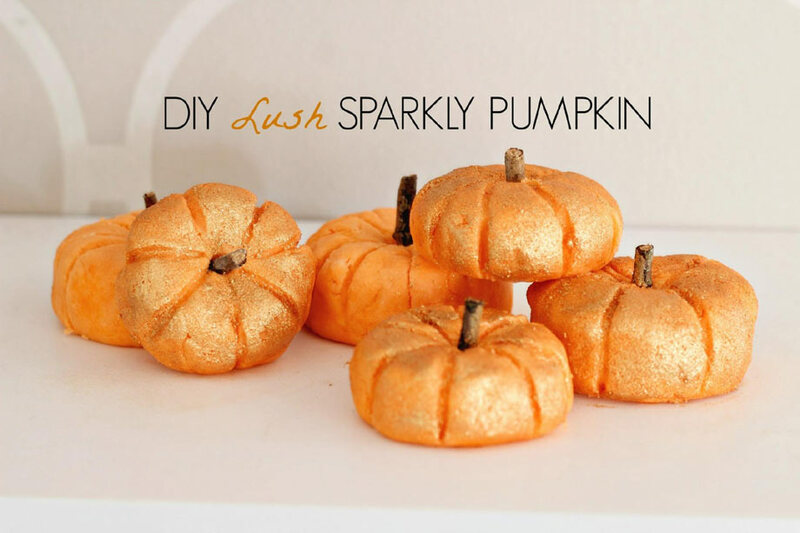 These are actually homemade “bubble bars” containing pumpkin fragrance oil, tinted with orange coloring, formed into pumpkin shapes, and brushed with gold glitter. 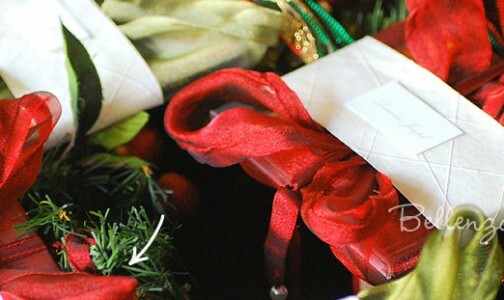 Just follow the YouTube tutorial and package for giving! 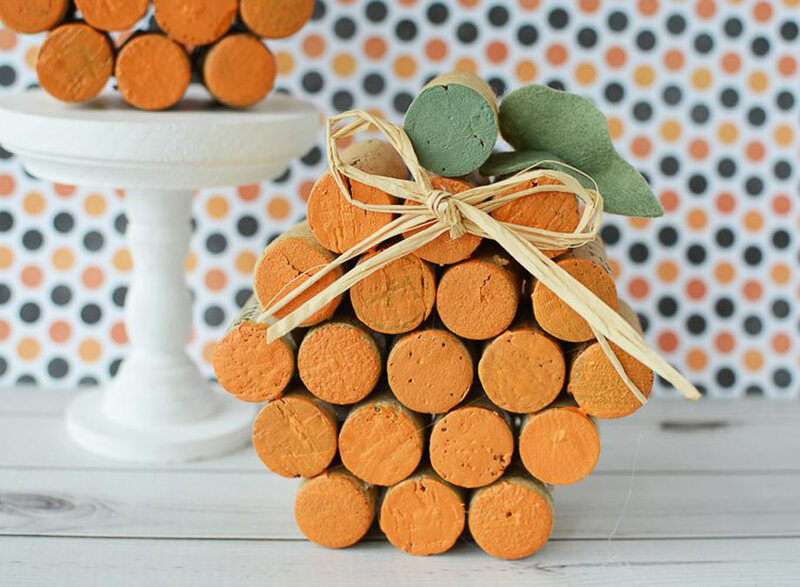 Thanks to Southern Family Fun, you can craft these clever little pumpkins from recycled wine corks. 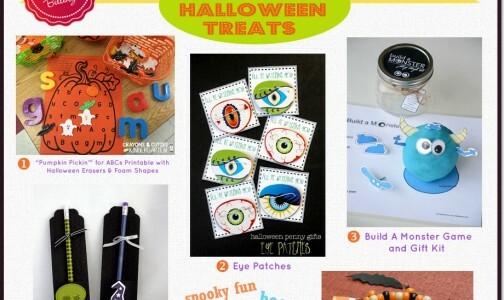 Just assemble and glue them in rows to form a pumpkin shape, paint the ends with orange paint and 1 with green paint for the “stem.” Then, finish with a felt leaf and raffia bow. 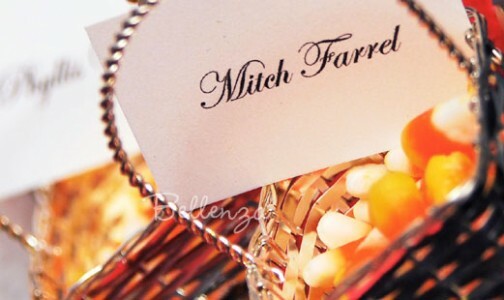 Love how simple and chic these are—whether you use them as themed place cards or fall party favors. 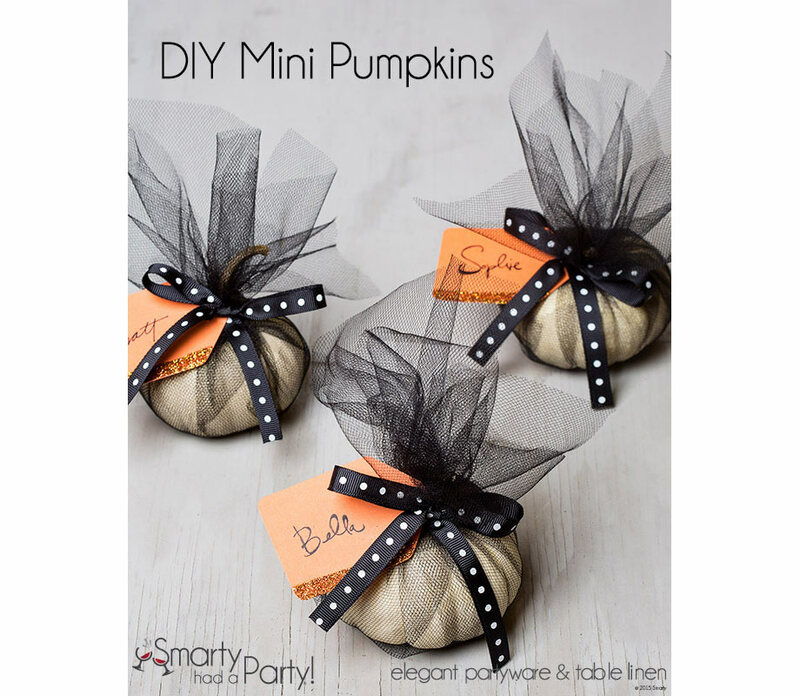 Just wrap white mini pumpkins in sheer black tulle, tie with black and white dotted ribbon, and add a glitter-edged orange tag! 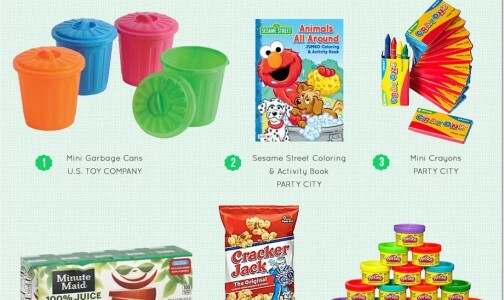 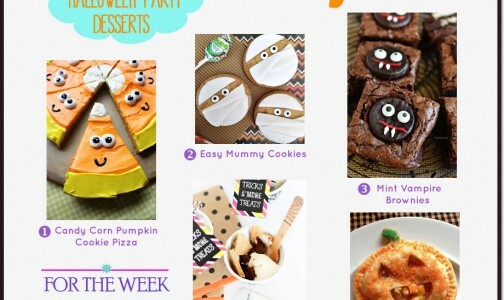 See the super-easy how-to from Smarty Had a Party. 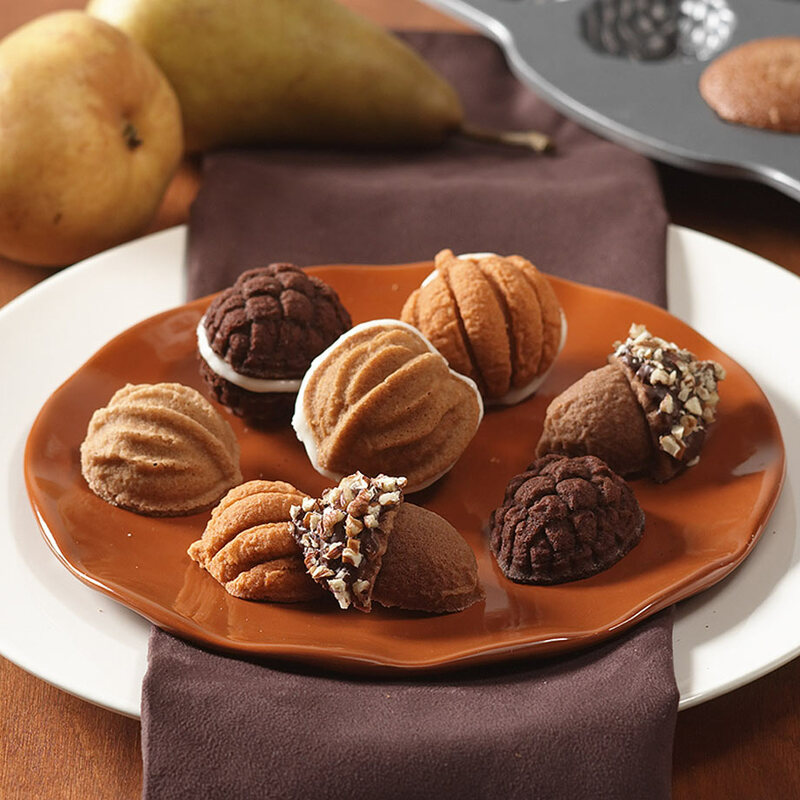 What a little charmer this hand-assembled treat box from Pebbles Inc. is! 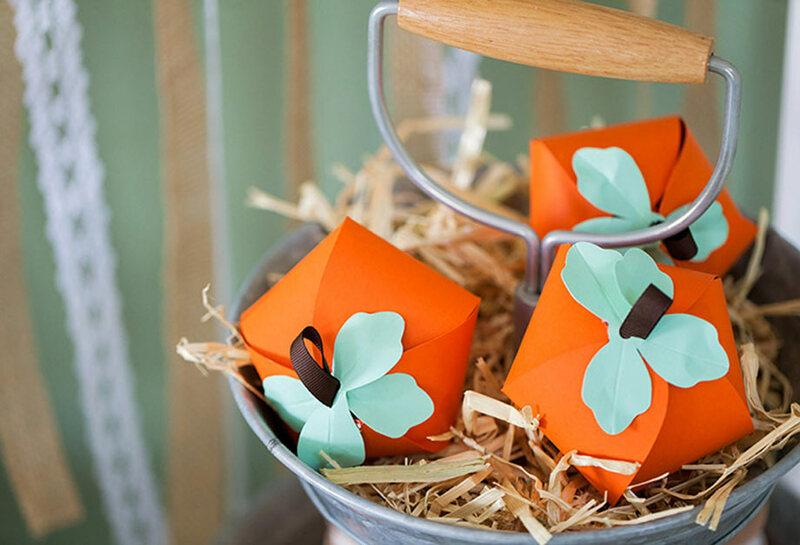 The sections are die-cut from a collection of woodland-design papers, then folded into a pumpkin form, and finished with a leaf and gift tag tied on with striped twine. 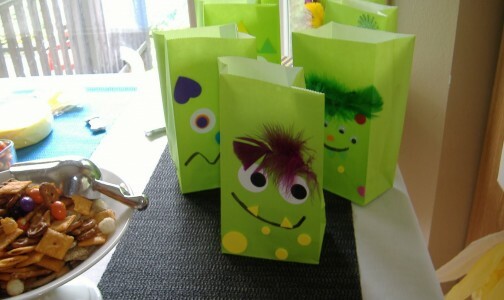 From Evermine, check out these adorable pumpkin bundles made from tissue paper and filled with Reese’s Pieces candy. 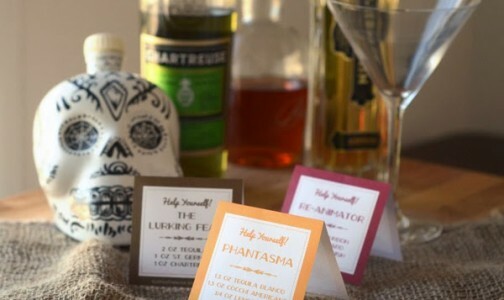 Stylish personalized favor tags complete the packaging. 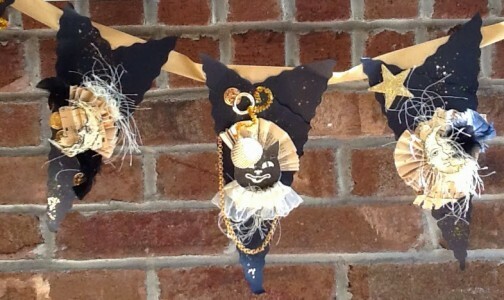 These little guys from Celebration Lane look pretty versatile. 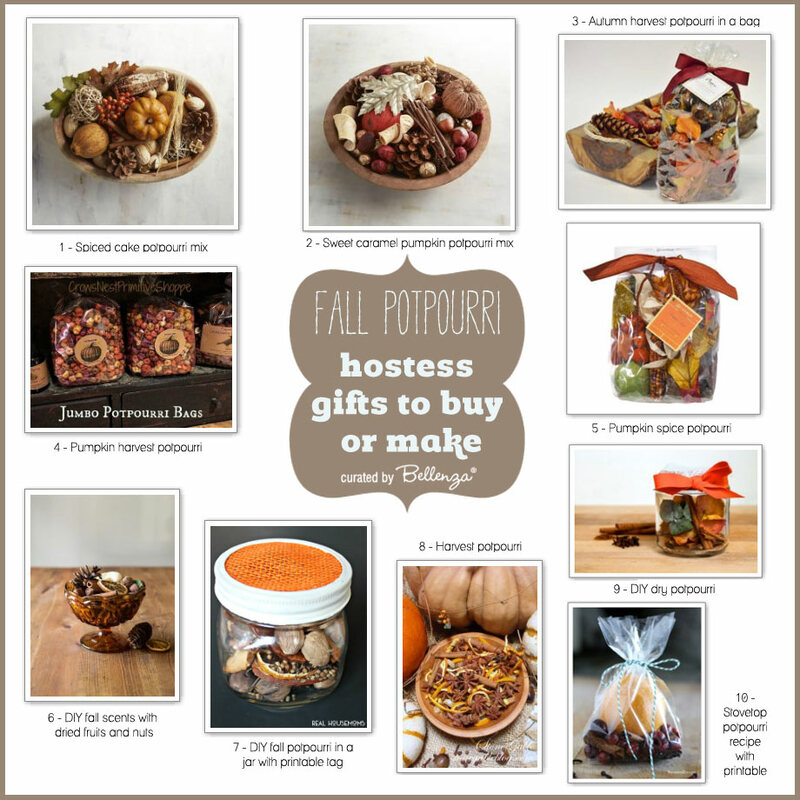 They can be given out as favors just as is, or made to hold autumn treats, small gift items, or packets of spices. 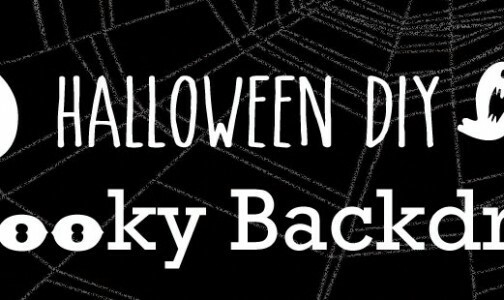 Similarly “double duty” are these striking mason jar creations from Spark and Chemistry—that can be presented as candle holder gifts or as containers for fall nut mixes, home-baked cookies, or even ingredients for apple cider or hot cocoa. 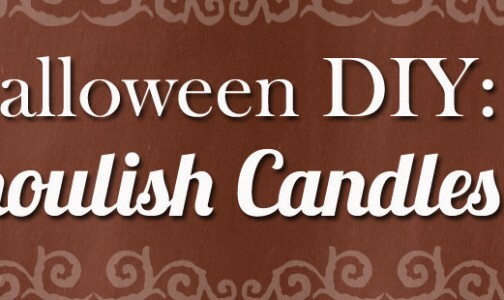 Prefer a non-pumpkin option? 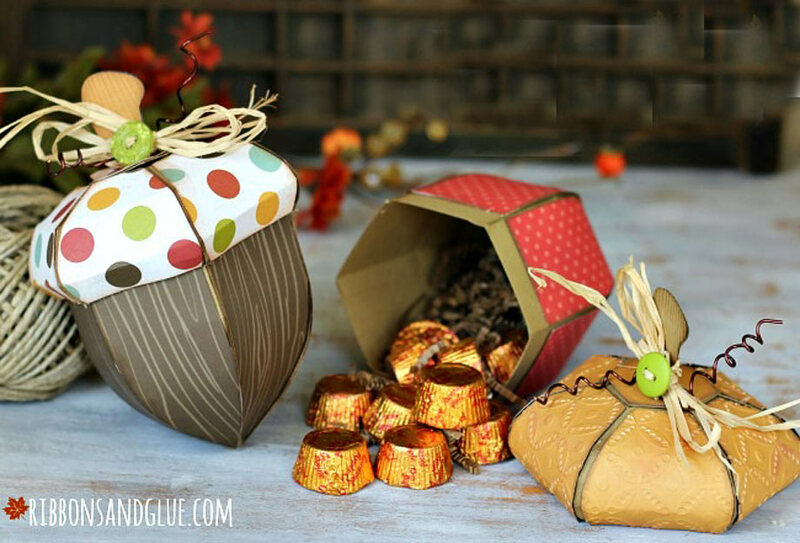 Check out these adorable acorn boxes from Ribbons and Glue, cut from autumn-patterned paper using a Silhouette machine and a special kit. 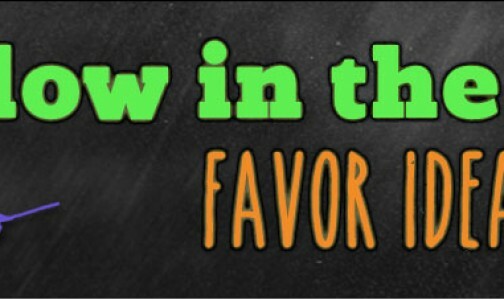 Just tuck in your chosen favor fillings. 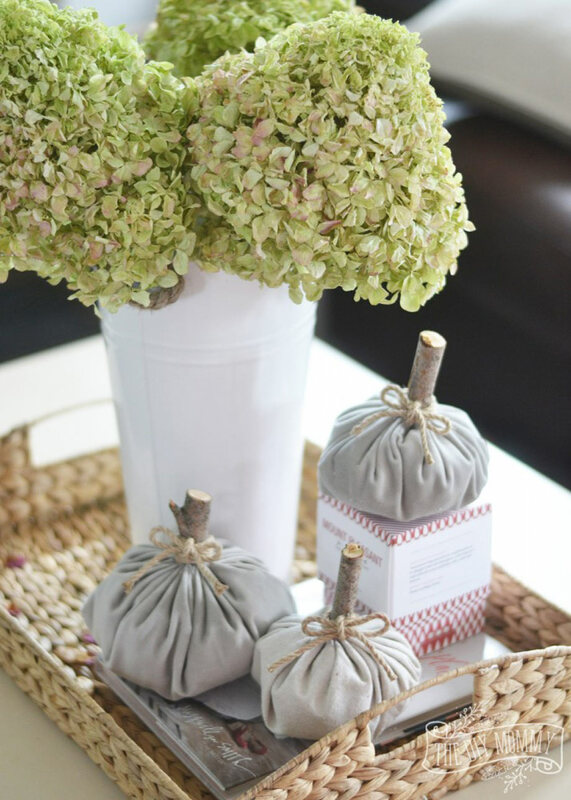 Then, complete the whimsical woodland look with buttons, wire, and raffia. 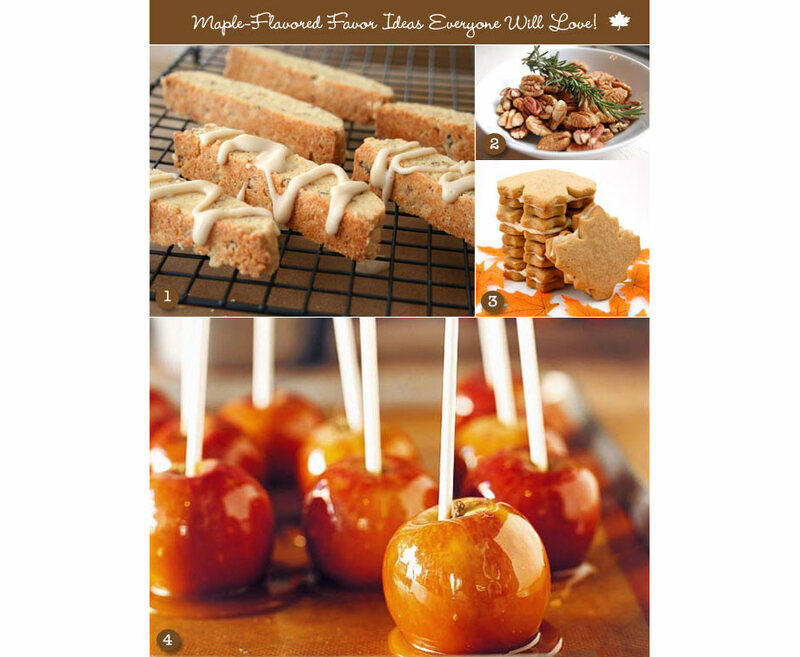 Maybe you’d like to give edibles as favors? 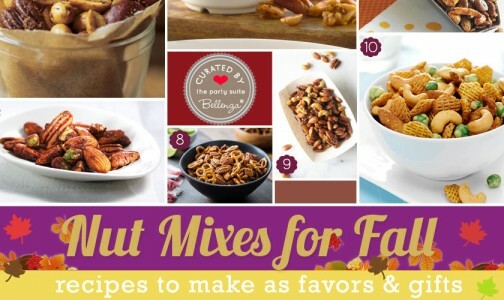 Goodies in fall shapes and flavors are sure to be a hit for guests to take home. 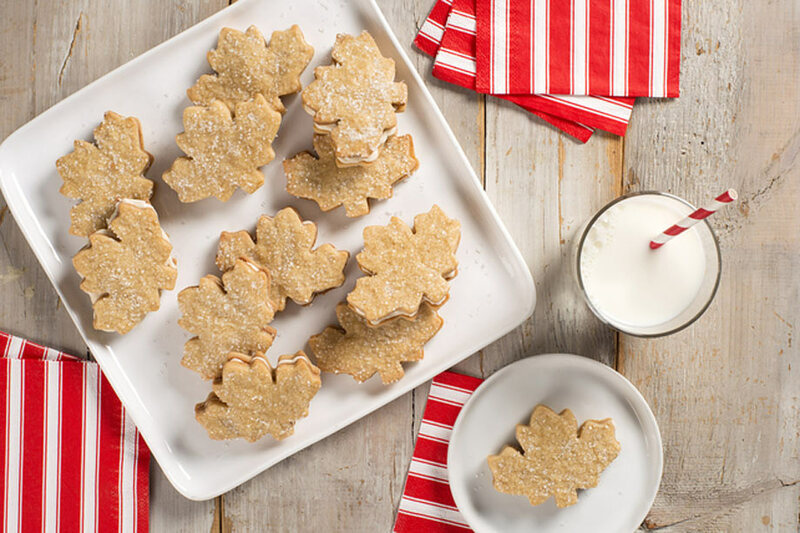 Consider these Maple Leaf Cookies from Kraft Canada, or bake up batches of your personal favorite recipe. 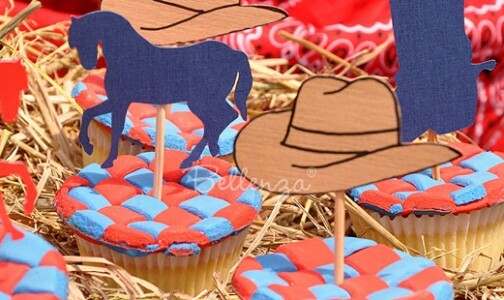 Yup, these are tiny cakes! 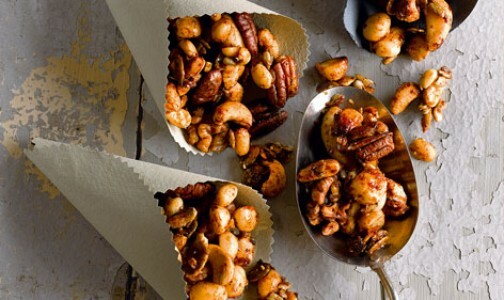 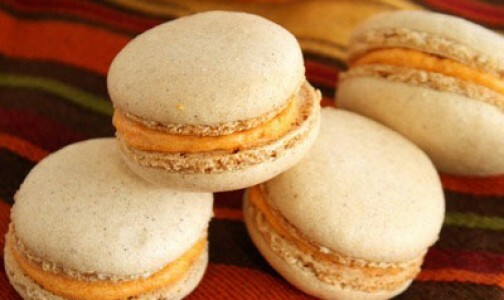 Flavored with fall spices and molded to resemble autumn season walnuts and acorns (leaves and turkeys, too, but not shown in photo), they would make lovely favors. 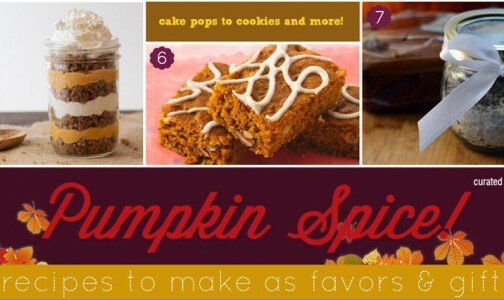 See the recipe over at Nordic Ware. 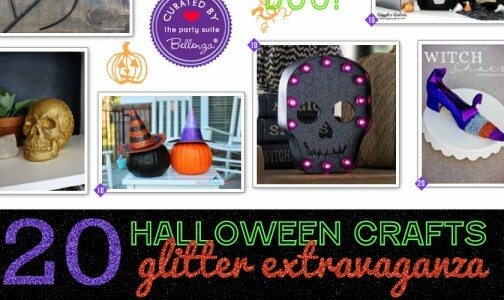 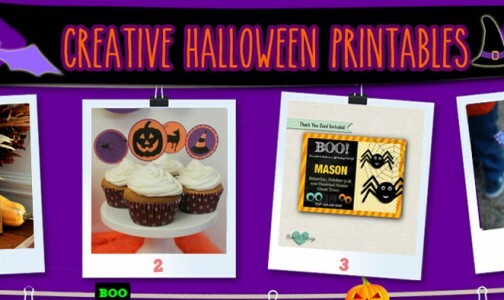 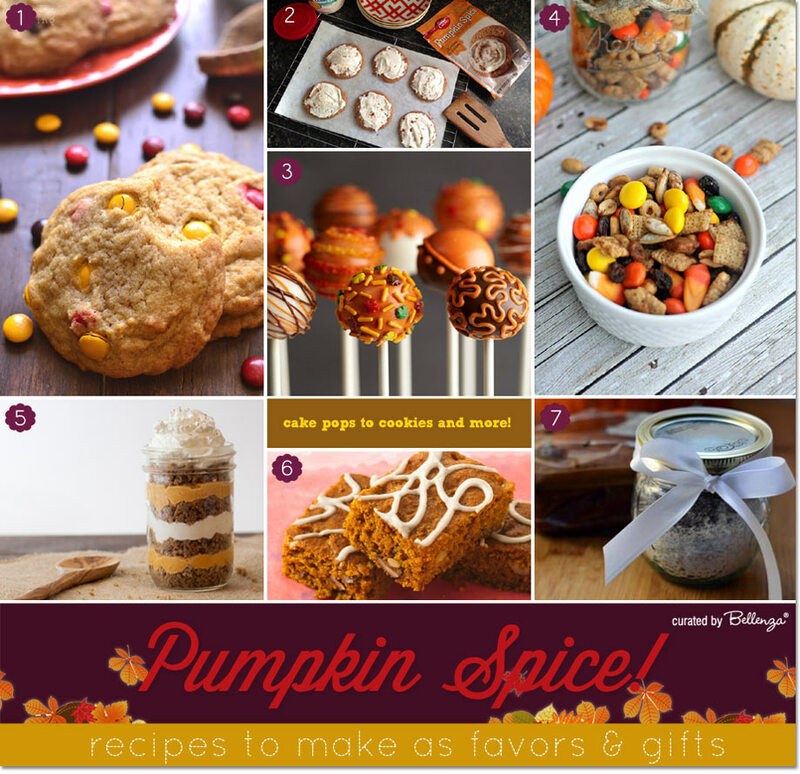 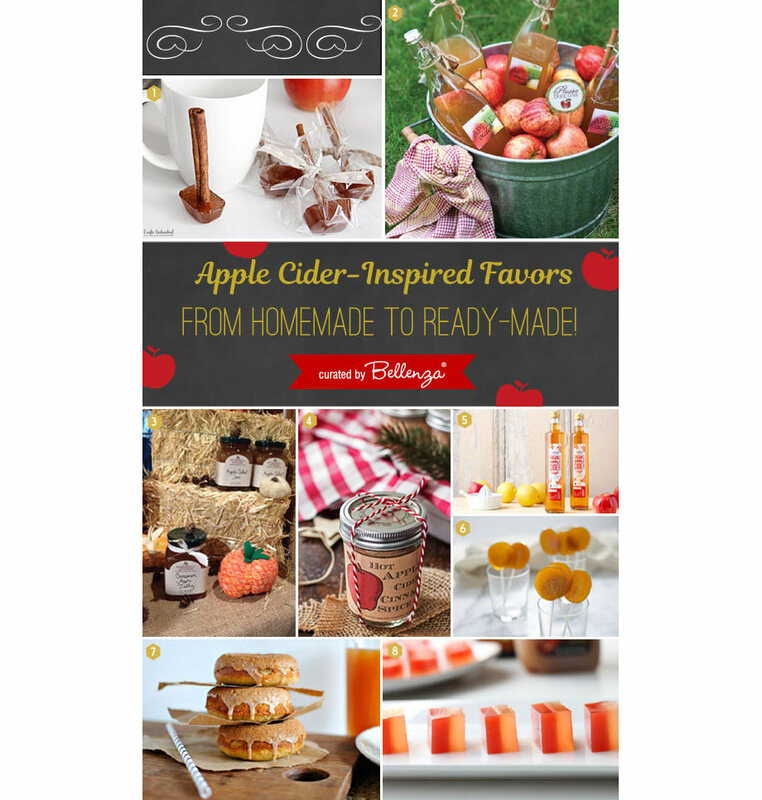 MORE Fall Party Favors You Can Make! 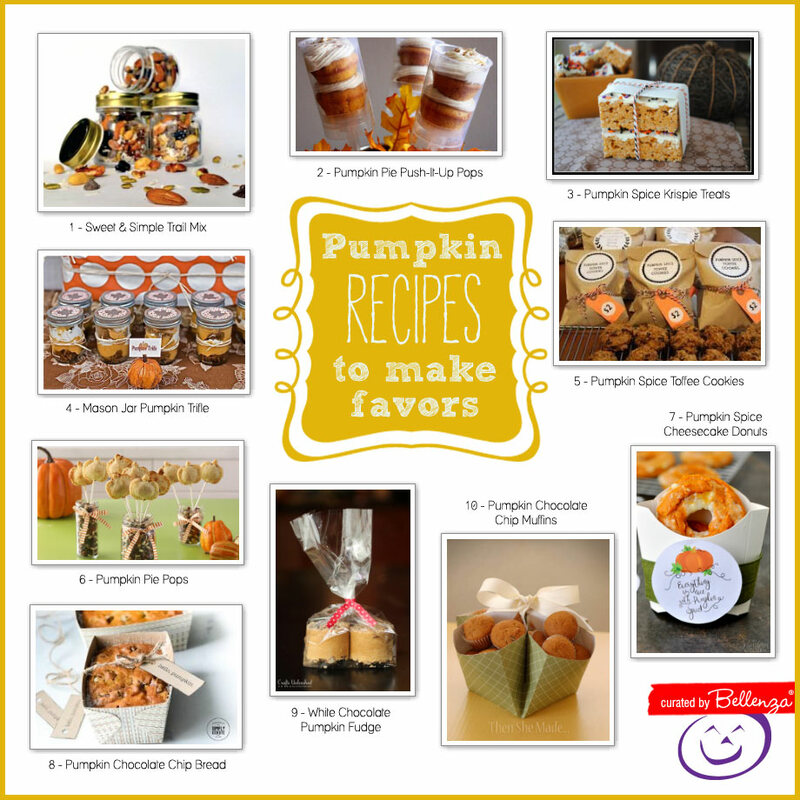 Now, here’s our own treasure trove of posts on autumn favor ideas. 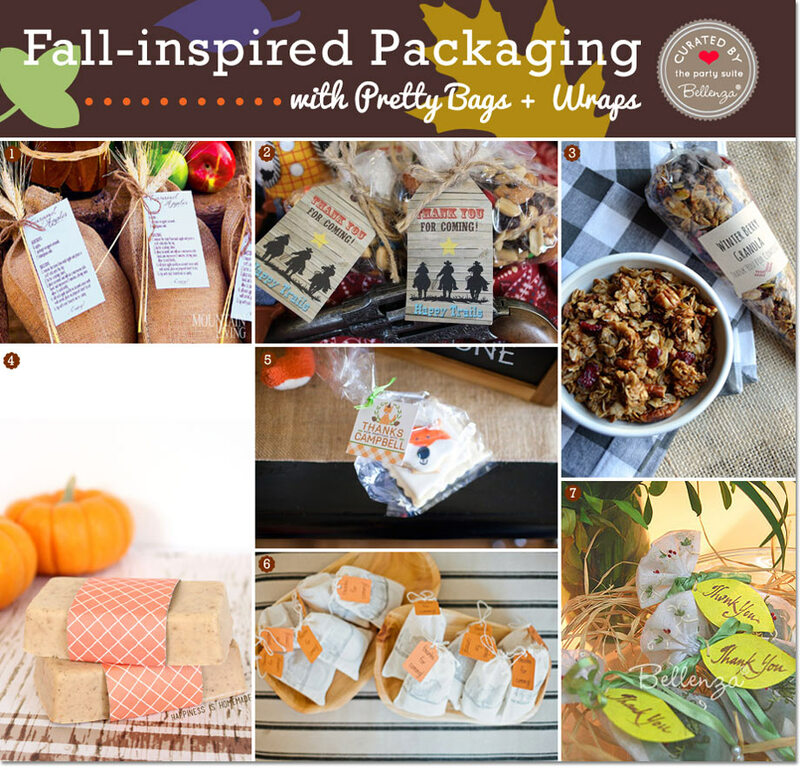 The fall-flavored edibles are too tempting to miss, and the packaging inspiration is so creative and charming! 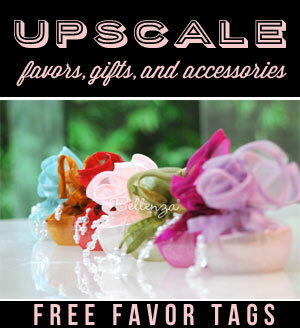 Just click on each post link for the full details.